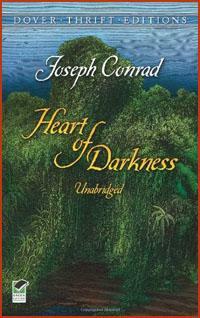 Heart of Darkness, a novella that most of us read at one time or another in school, is definitely worth picking up again, especially if you are planning a trip to Africa. It isn't a long book but it takes you into the unholy places of the African past. Who could ever forget the character Mr. Kurtz who lives in the middle of the jungle with his own inner demons? We observe at close hand the evils of colonialism and perhaps can begin to imagine a way of redemption. Conrad is a master of the English language, even though it was not his first language. The writing itself makes this book one to read more than once. "Going up that river was like travelling back to the earliest beginnings of the world, when vegetation rioted on the earth and the big trees were kings. An empty stream, a great silence, an impenetrable forest. The air was warm, thick heavy, sluggish. There was no joy in the brilliance of sunshine. The long stretches of the waterway ran on, deserted, into the gloom of over-shadowed distances. ...xAnd this stillness of life did not in the least resemble a peace. It was the stillness of an implacable force brooding over an inscrutable intention." – Heart of Darkness, Pocket Books, 1967 edition. Chinua Achebe was born in Nigeria in 1930 and was raised in Ogidi, a large village. He left Nigeria in 1966 during the upheavals leading up to the Biafran War. He writes about Nigeria with an intenseness that perhaps only memory can bring. This book seems timeless; the characters as though they had stepped out of a Greek play. Stories and superstitions weave together to form a rational culture. He depicts tribal life before colonization, not as some Arcadia, but in all its social reality. Tribal rhythms beat through the prose of this narrative. "The night was very quiet. It was always quiet except on moonlight nights. Darkness held a vague terror for these people, even the bravest among them. Children were warned not to whistle at night for fear of evil spirits. Dangerous animals became even more sinister and uncanny in the dark. A snake was never called by its name at night, because it would hear. It was called a string." 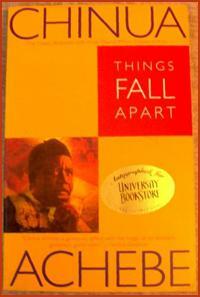 – Things Fall Apart, Anchor Books, 1994 edition. Nadine Gordimer, the South African writer and activist, is not an easy read. Her books demand quite a bit from the reader, yet give back just as much. Her prose is dense, but beautiful. Her complicated characters, such as Rosa Burger, are so alive you feel you know them as well as your best friend. She is committed to South Africa and her books struggle with the major questions, both political and philosophical that confront South Africans even today. She won the Nobel Prize in Literature in 1991. Any of her books that take place in South Africa offer the reader a profound view and understanding of a complex society. This book in particular causes us to think about our own moral commitments. "Rosemarie Burger, according to the headmistress's report one of the most promising seniors in the school in spite of the disadvantages – in a manner of speaking – of her family background, came in to school the morning after her mother was detained just as on any other day. She asked to see the headmistress and requested to be allowed to go home early in order to take comforts to her mother. Her matter-of-fact and reserved manner made it unnecessary for anyone to have to say anything – anything sympathetic – indeed, positively forbade it, and so saved awkwardness." 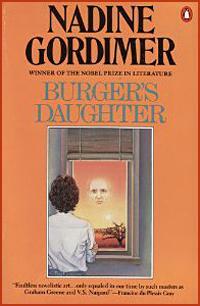 – Burger's Daughter, Penguin Books, 1980 edition. A Bend in the River, written by Nobel Laureate V.S. 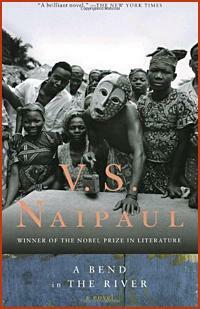 Naipaul, was ranked as one of Modern Library's top 100 English-language novels. The story places us in the center of a developing newly independent country in Africa; a country balanced between the modern world and the traditions of its past. A Bend in the River helps us grasp some of the currents that exist in many of the countries of Africa today. "The world is what it is; men who are nothing, who allow themselves to become nothing, have no place in it. Nazruddin, who had sold me the shop cheap, didn't think I would have it easy when I took over. The country, like others in Africa, had had its troubles after independence. The town in the interior, at the bend in the great river, had almost ceased to exist; and Nazruddin said I would have to start from the beginning." – A Bend in the River, Vintage Books, 1980 edition. 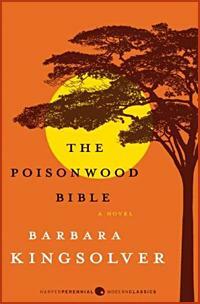 For those of you who are Barbara Kingsolver fans don't miss this powerful novel set in Africa. You will continue to think about the novel for a long time after putting it down. The story involves a missionary family that moves from the United States to the Belgian Congo during the post-colonial times. The family is unprepared for the environment: the weather, the animals, the bugs and the politics; and thus the story proceeds from hope to despair and onward. An Oprah Book Club selection. "First picture the forest. I want you to be its conscience, the eyes in the trees. The trees are columns of slick, brindled bark like muscular animals overgrown beyond all reason. Every space is filled with life: delicate, poisonous frogs war-painted like skeletons. ...xA single-file army of ants biting a mammoth tree into uniform grains and hauling it down to the dark for their ravenous queen. ...xThis forest eats itself and lives forever. ...xAway down below now, single file on the path, comes a woman with four girls in tow, all of them in shirtwaist dresses. Seen from above this way they are pale, doomed blossoms, bound to appeal to your sympathies. Be careful. Later on you'll have to decide what sympathy they deserve." – The Poisonwood Bible, Harper-Collins, 1998 edition. 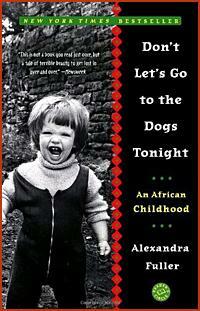 Alexandra Fuller lived in Rhodesia (now Zimbabwe) during the civil war in the 70's. She describes her African life through the eyes of an innocent child. Her parents believe in the old Africa, run by whites, which during this time was rapidly changing. Fuller loves her parents and her homeland, and describes her surroundings with great intensity and emotion. She also loves and respects the Africans with whom she lives and interacts. The smells, sounds and tastes of Africa weave the fabric of her wonderful writing. This memoir reads like fiction and is as good or better than Out of Africa. "'Look,' Mum says, leaning across the table and pointing. Her finger is worn, blunt with work: years of digging in a garden, horses, cows, cattle, woodwork, tobacco. 'Look, we fought to keep one country in Africa white-run' – she stops pointing her finger at our surprised guest to take another swallow of wine – 'just one country.' Now she slumps back in defeat. 'We lost twice.' ...xThe guest says nothing, but his smile is bemused. I can tell he's thinking, 'Oh, my God, they'll never believe this when I tell them back home.' " – Don't Let's Go to the Dogs Tonight, Random House, 2003, Kindle edition. Having visited Rwanda recently, mainly to see the mountain gorillas, I fell in love with the beauty of the country and the gracious people. I had been hesitant to go, given the relatively recent tragic history of genocide. And genocide is never far from your mind, as the guides keep stressing how much the country has accomplished since the horrors of that time. The Genocide Museum is on every tour itinerary. 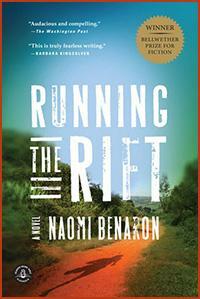 Running the Rift, follows the life of a young Tutsi who loves running and has a dream to run in the Olympics. The novel presents the facts behind the genocide through the eyes of the main character and others. The beauty of the mountains and villages, as well as the deep feelings of the people, forms the background of this difficult, yet important story. Winner of the Bellwether Prize for Fiction. "By midnight, the rain had stopped, the moon a blurred eye behind the clouds. Neighbors and family had been arriving since early evening with food and drink. Students and teachers from Gihundwe crowded into the tiny house. The night watchman drank tea inside the door. ...xThe table was set up in the front room, covered with the tablecloth reserved for holidays. There were plates of ugali and stews with bits of meat and fish to dip it in, bowls of isombe, green bananas and red beans, fried plantains, boiled sweet potatoes and cassavax...x." – Running the Rift, Algonquin Books, 2012 edition. A love story as well as a story of the Algerian rebellion, Yasmina Khadra (a man using a woman’s name) introduces us to the society, and landscape of Algeria. This is an emotional story about growing up and forming relationships against the background of colonial and post independence Algeria. The question of loyalties and the meaning of friendship lie at the heart of this novel. "My father was happy. ...xIt had never occurred to me that he was capable of such an emotion. Sometimes, the sight of his serene face disturbed me. Hunkered on a pile of loose stones, knees clasped to his chin, he watched the breeze caress the slender stalks of wheat, breathe over them, scurry feverishly through them. The wheat fields billowed over the plains like the manes of thousands of horses galloping. It was like watching the sea as it rises and falls. And my father was smiling. I could not remember ever seeing him smile; it was not in his nature to show happiness – if he could be said to have ever felt such a thing.” – What the Day Owes the Night, William Heinemann, 2010 edition. "The beginnings of this story lie far back in time, and its reverberations still sound today. But for me a central incandescent moment, one that illuminates long decades before and after, is a young man’s flash of moral recognition. The year is 1897 or 1898. Try to imagine him, briskly stepping off a cross-Channel steamer, a forceful, burly man, in his mid-twenties, with a handlebar mustachex...xhe is not the sort of person likely to get caught up in an idealistic cause. His ideas are thoroughly conventional. 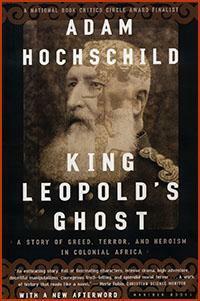 He looks – and is – every inch the sober, respectable businessman.” – From the Introduction: King Leopold’s Ghost, Houghton Mifflin, 1999 edition. 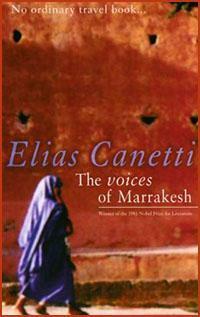 Morocco is one of the most alluring countries; one that I haven’t been to yet but is on my “bucket list.” Although Nobel Prize winner Canetti wrote this book in the 60’s after a visit to Morocco, the word is that this book still holds up as a way to discover the inner lives and voices of Marrakesh. A short travel memoir, yet rich in culture and history written by a master of the written word. "Travelling, one accepts everything, indignation stays at home. One looks, one listens, one is roused to enthusiasm by the most dreadful things because they are new. Good travellers are heartless.” – Elias Canetti, The Voices of Marrakesh: A Record of a Visit, Marion Boyars Publishers Ltd, 2001 edition. Noo Saro-Wiwa is the daughter of Nigerian activist, Ken Saro-Wiwa, who was killed by the military regime. She spent much of her life in London and, although visiting Nigeria often as a child, had not gotten to know the country where she was born. This is a travel journal, yet it also contains the author’s personal memories as well as the history of Nigeria. Although unfortunately most people do not visit Nigeria, the book is still worth reading. The writing is good, and you will enjoy the descriptions of the Nigerians both from the inside and out, as the author reaches toward the center of the Nigerian soul. "Although peopled by every Nigerian ethnicity, Lagos is a city of the Yoruba, the dominant ethic group in the south-west. Their melodic lingua franca sounded in the streets around me, as foreign to my ears as any language from Cameroon or Ghana. I had arrived in a country I had never lived in, and a city I’d visited only briefly twice before, among a thoroughly foreign-sounding people. It was the most alienating of homecomings. 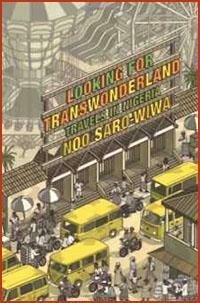 I might as well have arrived in the Congo.” – Looking for Transwonderland, Soft Skull Press, 2012 edition. 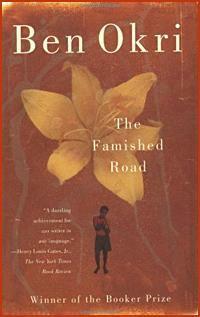 The Famished Road, which takes place in Nigeria, incorporates a style that might be called "magic realism." If you don't like this particular type of narrative, this book might not be for you. 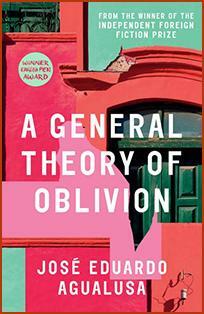 However if you enjoyed One Hundred Years of Solitude by Garcia Marquez, then try this novel. The spirit world plays a major role in this story; thus one has to suspend belief in the usual flow of events and time. Because the spirit world remains so important in modern Africa, this book illuminates a broader sense of the entire African experience. The Famished Road won the Booker Prize in 1991. "In the beginning there was a river. The river became a road and the road branched out to the whole world. And because the road was once a river it was always hungry. ...xIn that land of beginnings spirits mingled with the unborn. We could assume numerous forms. Many of us were birds. We knew no boundaries." – The Famished Road, Anchor Books, 1993 edition. 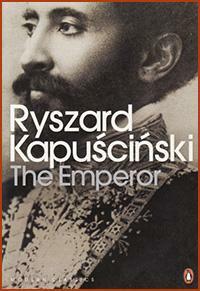 Haile Selassie, Emperor of Ethiopia from 1930 until 1974, was known as “King of Kings, Elect of God, Lion of Judah and His Most Puissant Majesty.” That should give the reader some idea of why the Polish journalist, Ryszard Kapuściński, decided to interview those who knew him and write the history of his rule. A fascinating look at Ethiopia during Selassie’s time, as well as being a study of autocrats everywhere. A remarkable piece of reporting. I read this book many years ago, and have never forgotten it. “The Emperor slept in a roomy bed made of light walnut. He was so slight and frail that you couldn’t see him – he was lost among the sheets. In old age, he became even smaller. He weighed fifty kilograms. He ate less and less, and he never drank alcohol. His knees stiffened up, and when he was alone he dragged his feet, swaying from side to side as if on stilts. But when he knew that someone was watching him, he forced a certain elasticity into his muscles, with great effort, so that he moved with dignity and his imperial silhouette remained ramrod-straight. Each step was a struggle between shuffling and dignity, between leaning and the vertical line. His Majesty never forgot about this infirmity of his old age, which he did not want to reveal lest it weaken the prestige and solemnity of the King of Kings. But we servants of the royal bedchamber, who saw his unguarded moments, knew how much the effort cost him.” – The Emperor, Vintage, 1989 edition. Although Cry, the Beloved Country was published in 1948, which seems like centuries ago in South African politics, the book still resonates strongly for the reader. It is considered one of the consummate descriptions of apartheid ever written. 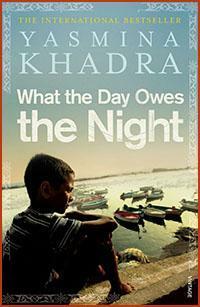 Passionate and powerful, yet not an angry book, it carries the voice and spirit of hope and reconciliation. Many may have read this in high school or college, but it is well worth a second (or third) read. “It is hard to be born a South African. One can be born an Afrikaner, or an English-speaking South African, or a colored man, or a Zulu. One can ride, as I rode when I was a boy, over green hills and into great valleys. One can see, as I saw when I was a boy the reserves of the Bantu people and see nothing of what was happening there at all. 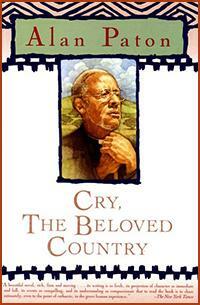 One can hear, as I heard when I was a boy, that there are more Afrikaners than English-speaking people in South Africa, and yet know nothing, see nothing, of them at all.” – Cry, the Beloved Country, Scribner, 2003 edition. I visited Rwanda a few years ago and fell in love with the country. It is an absolutely beautiful mountainous country, lush and verdant. I had hesitated to go due to the past genocide, but was glad I did. The people were welcoming and wanted all the visitors to know that things in the past would never happen again. Reading Our Lady of the Nile reminded me that we can never truly understand such horrific events. 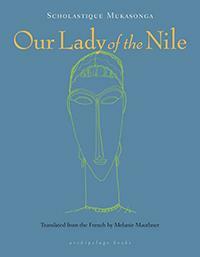 The novel is set in an elite girls’ school, Our Lady of the Nile. At first it just seems like a quiet story of young girls away from home, living together and discovering the joys and pains of growing up. But then it becomes a bit strange as we begin to see the split between the tribal affinities of the girls; as well as the confusion between European values (from colonization by the Belgians) and African values. An unusual book. Shortlisted for the International Dublin Literary Award. “There is no better lycée than Our Lady of the Nile. Nor is there any higher. Twenty-five hundred meters, the white teachers proudly proclaim. “Two thousand four hundred and ninety-three meters,” points out Sister Lydwine, our geography teacher. “We’re so close to heaven,” whispers Mother Superior, clasping her hands together.x… The school year coincides with the rainy season, so the lycée is often wrapped in clouds. Sometimes, not often, the sun peaks through and you can see as far as the big lake, that shiny blue puddle down in the valley.x… It’s a girls’ lycée. The boys stay down in the capital.” Archipelago, 2014 edition. I was not sure whether to include this in the Portuegese section or the Africa section of the website. Ludovica, the main character, is Portuguese, although she has relocated to Luanda in Angola, and this is where the narrative takes place. I doubt many of us will be traveling to Angola, however, this book covers the time of Independence from Portugal, and thus gives the reader the sense of what this historical event was like for both the colonizers and the native Angolans. Ludovica is based upon a true story of a woman who is afraid to leave her home. She walls herself in and continues to live and write closed off from the swirling world and events around her. This is an amazingly creative and lovely book. The characters are full of life and the author has imagined Ludovica’s life and times with great charm and inventiveness. Shortlisted for the Man Booker Prize. “Ludovica never liked having to face the sky. When still only a little girl, she was horrified by open spaces. She felt, upon leaving the house, fragile and vulnerable, like a turtle whose shell had been torn off. When she was very small, six, seven years old, she was already refusing to go to school without the protection of a vast black umbrella whatever the weather. Neither her parents’ annoyance nor the cruel mockery of the other children deterred her. Later on, it got better. Until what she called The Accident happened and she started to look back on that feeling of primordial dread as something like a premonition.” – A General Theory of Oblivion, Archipelago, 2015. 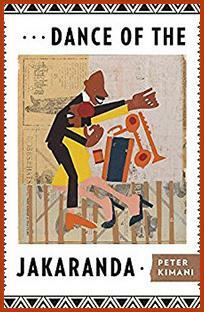 Dance of the Jakaranda is a novel that takes awhile to sink your teeth into … but once you do, it is well worth it. The history of the building of the railroad linking Lake Victoria and the Indian Ocean is a story that engulfs a tribal world in the modern industrial churn. The book is in turn, comic, tragic and full of great characters. You won’t be bored and you will learn a great deal about Kenya’s lurch into post-colonial times. “In that year, the glowworms in the marshes were replaced by light bulbs, villagers were roused out of their hamlets by a massive rumbling that many mistook for seismic shifts of the earth. These were not uncommon occurrences—locals experienced earthquakes across the Rift Valley so often they even had an explanation for it. They said it was God taking a walk in His universe. They believed this without needing to see it, but on that day the villagers saw the source of the noise as well. It was a monstrous, snakelike creature whose black head, erect like a cobra’s, pulled rusty brown boxes and slithered down the savanna, coughing spasmodically as it emitted blue-black smoke. The villagers clasped their hands and walked: Yu kiini! Come and see the strips of iron that those strange men planted seasons earlier—which, left undisturbed, had grown into a monster gliding through the land.” – Dance of the Jakaranda, Akashic Books, 2017 edition. 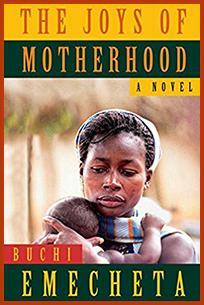 Emecheta’s classic novel, The Joys of Motherhood, follows an Igbo woman in Nigeria, Nnu Ego, from the early to the mid-twentieth century. Nnu loses her first child, but goes on to continue to follow the prescriptions of her societyx…xto have many children no matter how difficult that will make her life of work and poverty. This book is an unflinching look at cultural attitudes in a male-dominated society and the harsh life of women in colonial and post-colonial Africa. Although one comes away with deep sadness, the descriptions of everyday life and small joys somewhat balance the despair. “Nnu Ego backed out of the room, her eyes unfocused and glazed, looking into vacancy. Her feet were light and she walked as if in a daze, not conscious of using those feet. She collided with the door, moved away from it and across the veranda, on to the green grass that formed part of the servants’ quarters. The grass was moist with dew under her bare feet. This made her whirl round with a jerk, like a puppet reaching the end of its string. She now faced the road, having decided to use her eyes, her front instead of her back.x…xShe ran as if she would never stop.” – The Joys of Motherhood, Braziller, Inc., 1979 edition.